distribution Largely disjunct population, known only from White Lake in Bladen County; the major portion of the range is Northeastern, south only to southern NJ (OdonataCentral range map). Believed (as of 2014) to be an introduced population. abundance Can be common along lakeshores with emergent vegetation, within its main range. If it still occurs in NC, it likely must be quite local and rare, especially as nearly all records were over 25 years ago, and most of the shoreline of White Lake is heavily developed. flight The 10 dates for NC fall within a narrow time window -- early May to late May. habitat Floating or emergent vegetation along lakeshores. 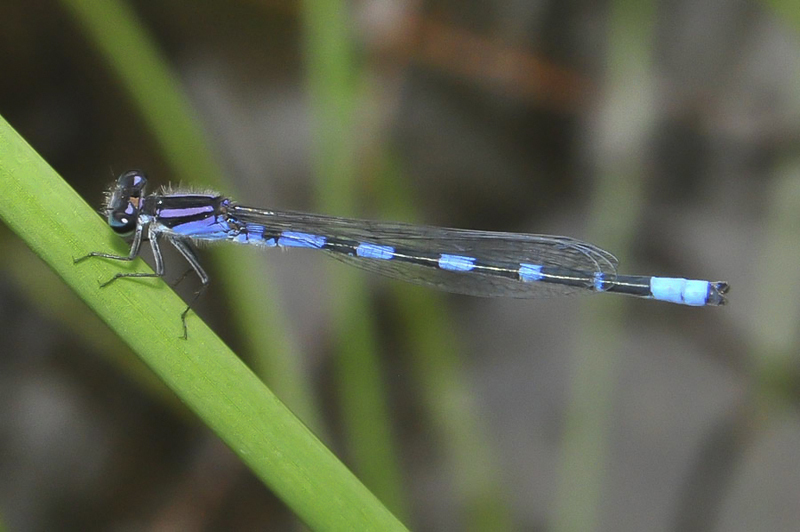 comments This is likely the rarest damselfly in NC, if it still exists. The last observation was May 1997, thus giving hope that it still occurs around White Lake. Mark Shields kayaked completely around White Lake on 11 May 2017 specifically searching for this species, but he found none. Thus, it may well be gone from the lake, though perhaps other surveys a week or two earlier or later than 11 May might still be warranted. Other bay lakes in Bladen County have been well-worked over the past few decades -- Jones, Baytree, Singletary, etc. ; yet, there are no records for them, the reason a few biologists wonder why a northern species would be disjunct far to the south at only White Lake, and not at other similar lakes. Therefore, in Fall 2014 the NC Natural Heritage Program created a new Watch List category: Watch Category 6, which includes species known to occur in North Carolina which current data suggest are likely not native to North Carolina but whose native occurrence is plausible. 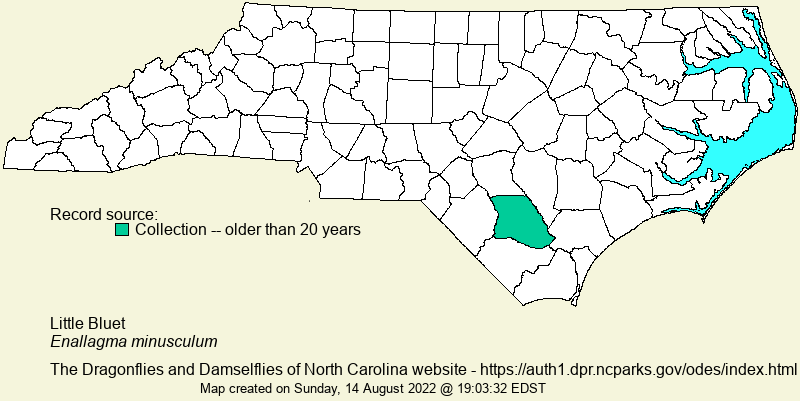 A small population was recently (2011) found in southern NJ, though the gap in the range to Bladen County, NC, is still nearly 400 miles.